Sumo Gods!!!! Why have you forsaken us???? Hakuho is out. Kakuryu is out. Kisenosato has been out since time immemorial. Tochinoshin is out in his first tournament as an Ozeki, even after dominating the early part of the Basho. Somehow, the emerging story of the Nagoya Basho is the surprise run of Mitakeumi. As a kind of hometown hero, Mitakeumi is having the best Basho of his career. The pride of the Dewanoumi stable, Mitakeumi is from Nagano Prefecture which is only about an hour long ride from Nagoya. So he’s enjoyed tremendous support from the crowd all tournament long. Adding to his hometown advantage, as a Sekiwake, Mitakeumi wasn’t schedule to fight the Yokozuna and Ozeki until late in the tournament. So now with all the injuries, there isn’t that much high level opposition for Mitakeumi to face. Considering Mitakeumi’s rocketed up through the lower sumo divisions in 2015, spent 2016 rising to the upper end of the Maegashira ranks, and then last year, bounced around Sekiwake and Komusubi designations throughout multiple tournaments, it shouldn’t be too shocking to see an elite young talent like Mitakeumi take advantage of a weak tournament pool. Going into Thursday’s match he was undefeated at 11-0 and had a two win lead on the rest of his competition with the chance to make it three. Going into the final match of the day, Mitakeumi had a chance to bring himself to one win away from the first tournament victory of his career. But with the rest of the field floundering, it’s doubtful there is anything anyone can do to catch Mitakeumi if he wins his Thursday and Friday matchups. Enter his Thursday showdown against Ozeki Takayasu, Mitakeumi’s biggest test of the Basho. Fast forward to 4:45 if you don’t have the patience to enjoy the ceremony and tension of a great sumo confrontation. It’s just some great main event sumo. Tense and to the wire. A damn close call and probably the best match of the tournament. Despite the lack of Yokozuna star power, if the high profile matches continue to deliver like that, Nagoya can save some face. With one loss for Mitakeumi, now Ozeki Geido is closest behind the leader, and by the beauty of the sumo schedule, they will faceoff in tomorrow’s final match. 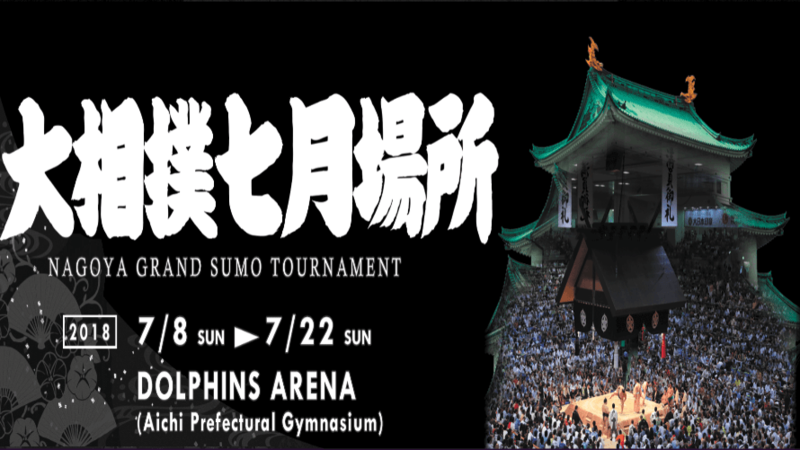 Check Jason’s All-Sumo channel on Friday to see the matchup that will likely decide the winner of the 2018 Nagoya Grand Tournament. Previous articleVideo: Did Dan Miragliotte Screw Alexandre Almeida With a Loss at PFL 4?